Your reunion committee is busy planning our 55th reunion on October 4 and 5, 2019. We have met once and secured the ballroom on the 3rd floor of the Museum of World Treasures in Old Town for our Saturday night get together and I guarantee you will have a great time at "A NIGHT AT THE MUSEUM". There will be food, music, a short program, class photo and a chance to tour the museum, It is really a treasure. Friday night will be a casual event. - details later. Be sure you have your email address listed so we can contact you. There will be one mailing and the rest of the agenda will be sent via email along with registration information from the website. Thanks to Karen Kelly for her expertise as Webmaster for this website. Complete survey to help us with planning. 15 have completed survey, but others have responded via email. 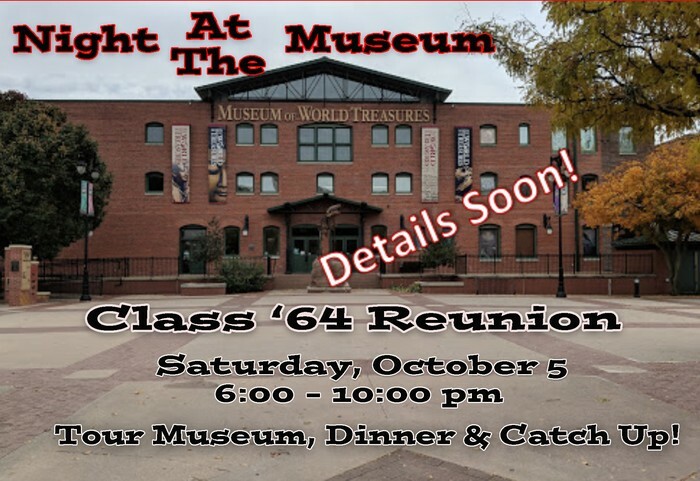 1) 55th Class of 1964 Reunion & All School Reunion Weekend is October 4, 5, 2019 sounds like fun! Let's us know if you'll plan to attend. Yes, No or leave a comment. We had 170 attend 50th in 2014 - Goal for 55th is 100? Just to make things interesting in our old age and to get up to date with all our electronics. Take a look on your laptop, computer and phone and see how it looks. Let me know what I need to change. To log out of website go to the Person Icon at the top, at the bottom is log out. Also, update your profile and add some pictures, make sure your information is correct. We have a list of bouncebacks, that emails are not working, so you will not receive any emails from site until corrected. Save the Date New Announcements for 55th Reunion has been added 3/28/19. Complete the survey to help us in the planning. 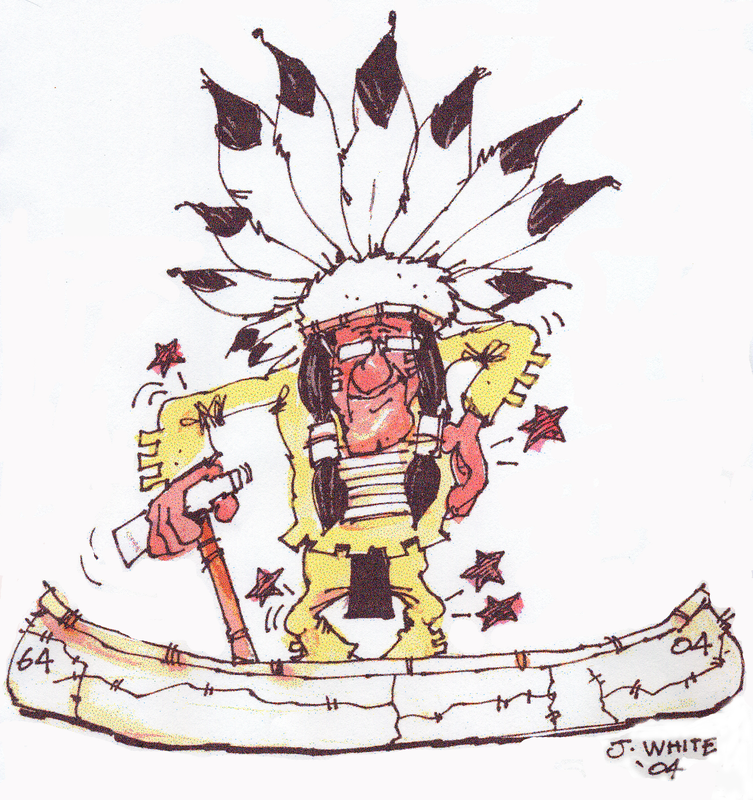 MEMBERSHIP DISCLAIMER: This is a private site for CLASS OF 1964 NORTH HIGH SCHOOL Graduates. Classmates that did not graduate with the class, or that graduated from other years may be admitted on a case by case basis. All membership, regardless of graduating year, will be granted or denied, at the discretion of the site administrator. All memberships may be revoked at the discretion of the site administrator. The privacy and security of all registered members will be considered a priority for the purpose of invitations, admittance, denials and revocations. Know the email address of a missing Class member? Click here to contact them!